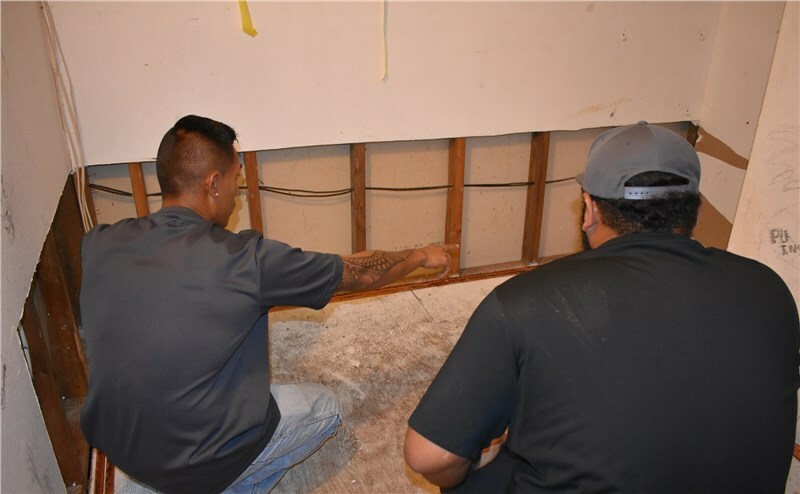 When our Ops manager came to us saying he wanted to sacrifice his newly purchased home as a flood training center for our team by literally flooding the home himself, we thought he was crazy but also knew it was a rare opportunity to test our methods and industry standards. 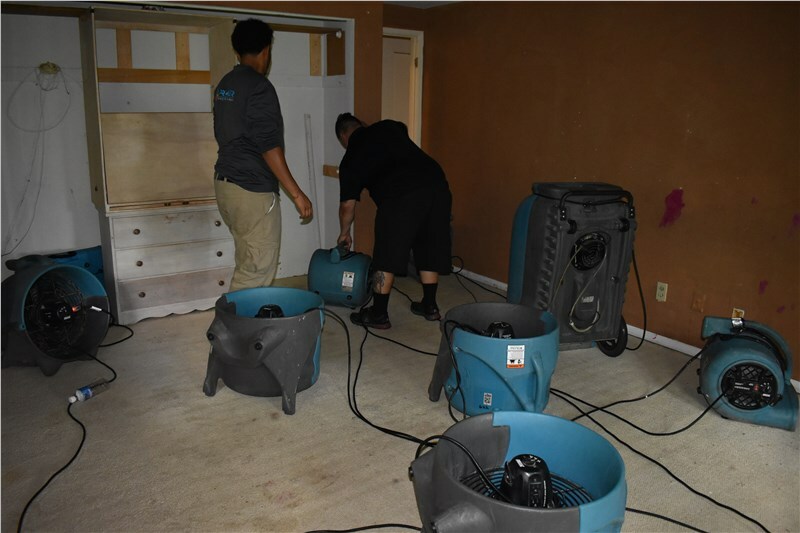 After flooding the home overnight and then letting the water sit until morning, we brought in our water mitigation technicians and restorative drying equipment to get started on a full flood damage restoration project to include water extraction, restorative drying and reconstruction. 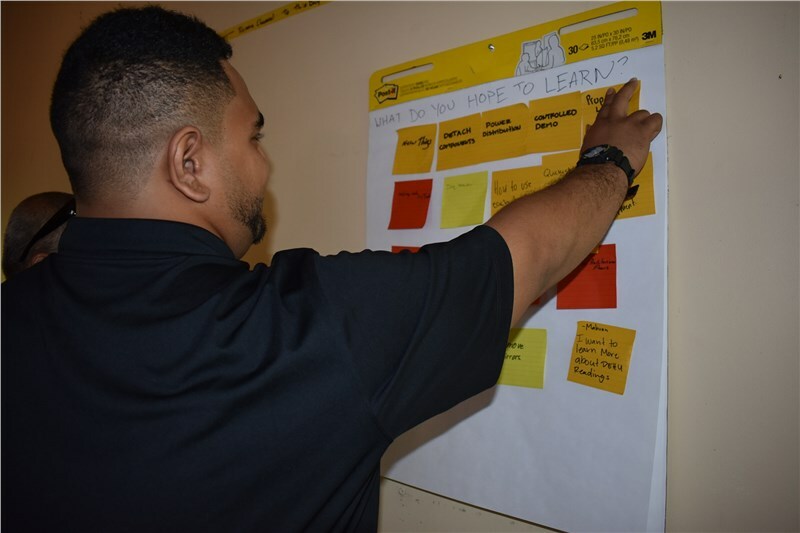 We called it our Premier Flood School and started by setting out our goals of what to learn and test. 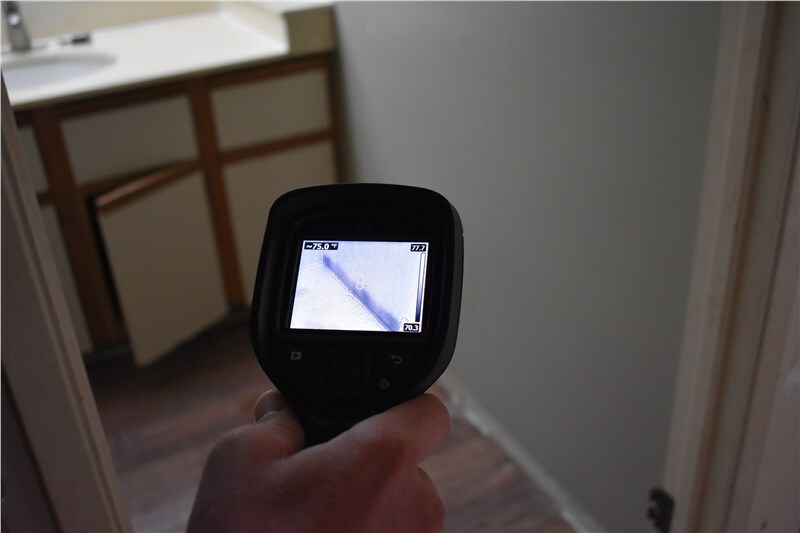 The thing about water damage is that it’s REALLY hard to capture on camera or see with the naked eye which is why we rely on things like moisture readers and thermal cameras to detect areas of raised moisture. As you can see in the photo below, the dark areas on the thermal camera show the areas of moisture in the floors, ceilings and wall- this time, most prominently in the floorboards-which help restorers identify the source of the leak and where things got wet. Moisture meters on the other hand help to identify the dry standard. 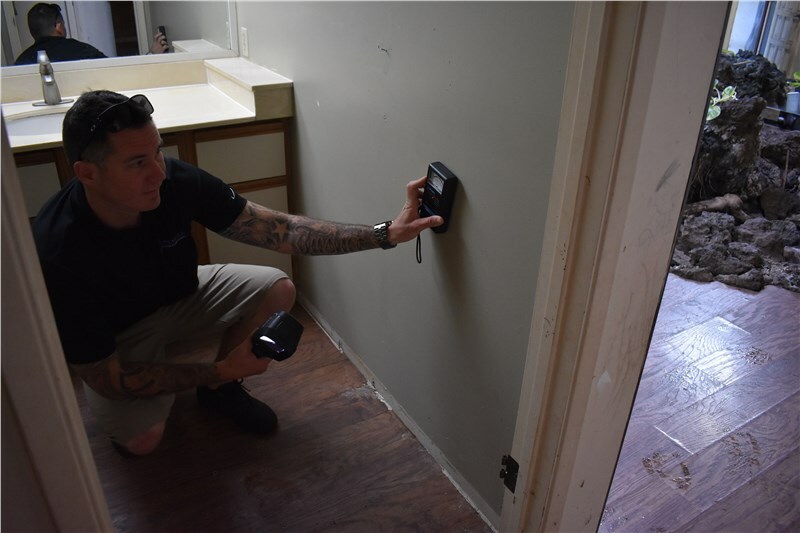 The dry standard is determined by taking moisture content readings from known dry materials in an undamaged area (in this case, higher up on the wall where the flood waters did not reach). From the dry standard, the restorer can establish the "drying goal." The drying goal is a target moisture level that may be the same as the dry standard or within an acceptable proximity of the dry standard. Setting a drying goal is important because it establishes the condition your premises should be in by the time the restorer has finished working in the previously wet area. By setting a goal, we can carefully monitor the progress and adjust accordingly if we are not on track to reach it. We then tested out our drying equipment. 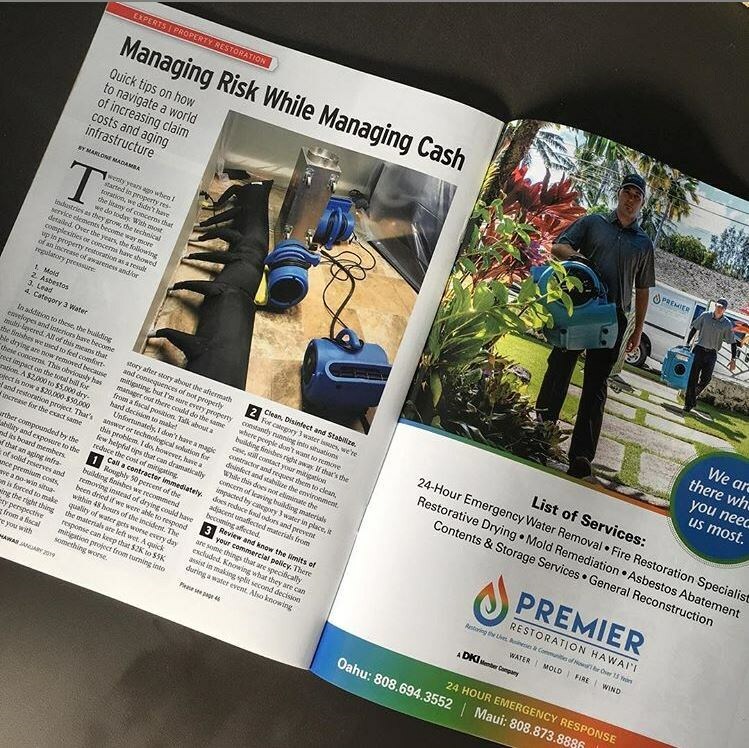 When it comes to drying stuff in our industry, we are not short on tools and, in emergency situations, you want to be sure you're bringing and using the right equipment for the particular water-loss event. 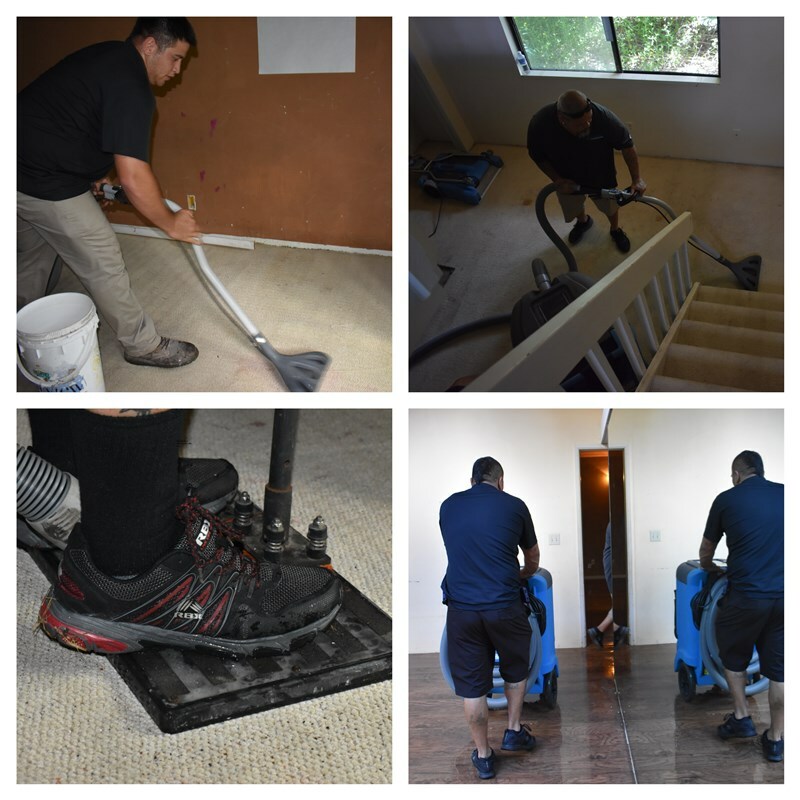 From the Dri-Eaz Rover Ride-On Flood Extractor, drying wands with portable extractors, air blowers ,dehumidifiers, and the water claw flood extractor, we put each to the test to see what actually worked the best and most efficiently in a specific room in the house with completely saturated carpet and carpet pad. We did this with very simple methods - drying for time and then weight the carpet pad to see which method sucked the most water out. 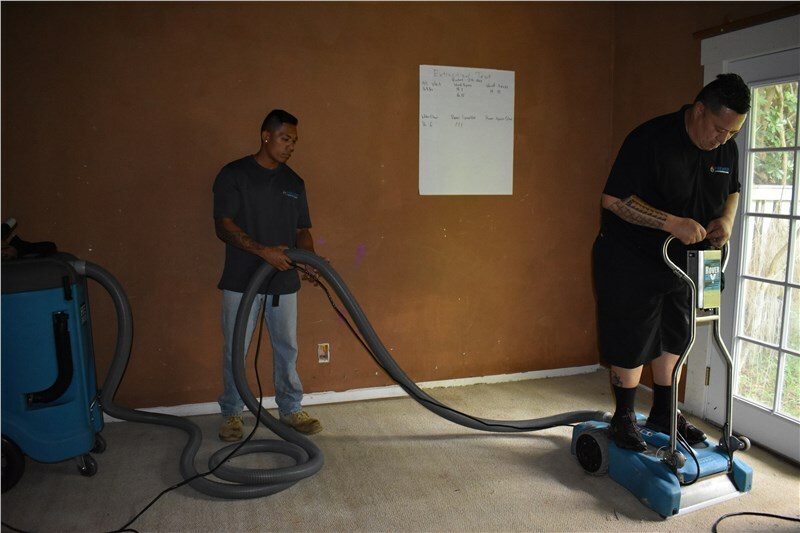 Reffering to our industry's bible - the IICRC's S500 Standard and Reference Guide for Professional Water Damage Restoration- we set out to determine the appropriate amount of drying equipment needed in this particular water-damage restoration project when employing the right amount of dehumidifiers and air blowers. This is important especially when it comes to billing for insurance purposes. 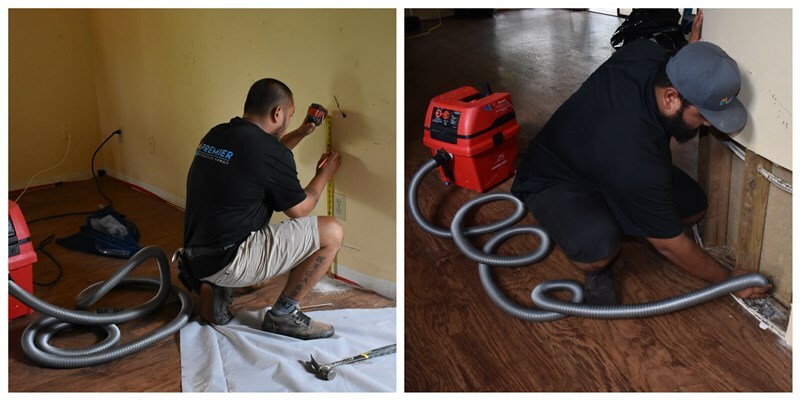 Following a flood, trapped water or moisture within a wall cavity can lead to the growth of mold, mildew, and bacteria. 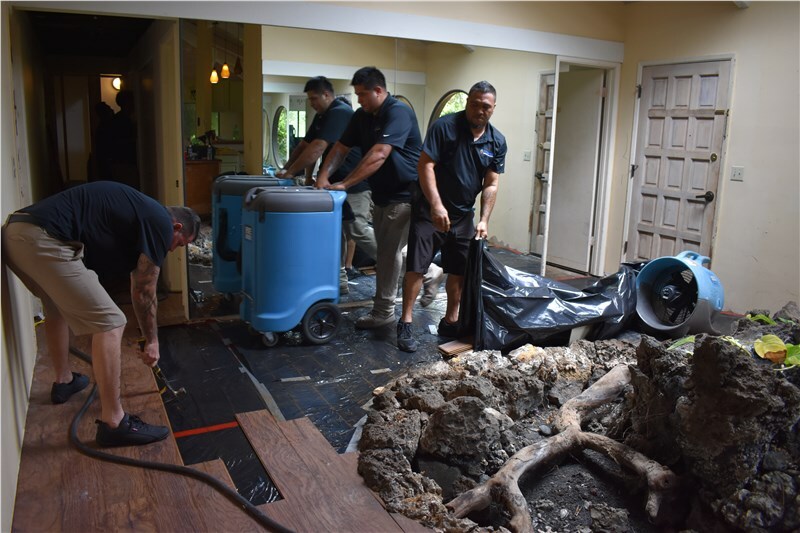 And, along with compromised structural integrity, microbial growth can occur within 48 hours of a flood. This is why when it comes to floods, time is of the essence and it’s important to react quickly . 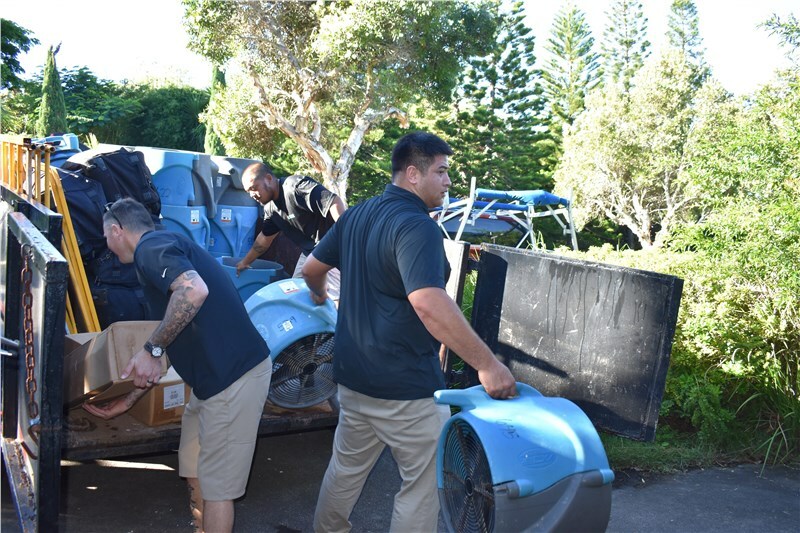 All water soaked building materials, drywall, insulation etc, should be removed as soon as possible as these materials typically can’t be reused even after they’ve been dried. 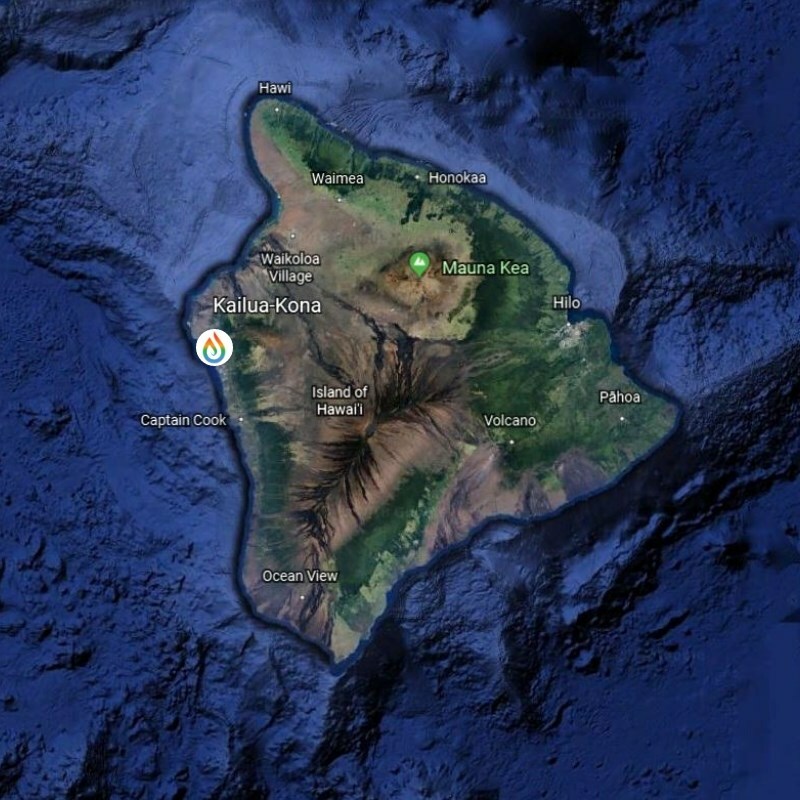 While there ARE situations where the walls can be saved (for example if the water in the wall is from a clean water source without any bacteria or pathogens AND if the wall does not contain any insulation), the area where the walls are wet typically have to be removed. Because water wicks upward, even if the water reached 1 or 2 inches up the wall from the floorboards, the damage probably extends 2 to 3 feet above that. Once the dry wall is removed, it’s important to also remove and discard of all damp insulation within the wall cavity. Oh and then there were Anthony's beautiful laminate floors…. 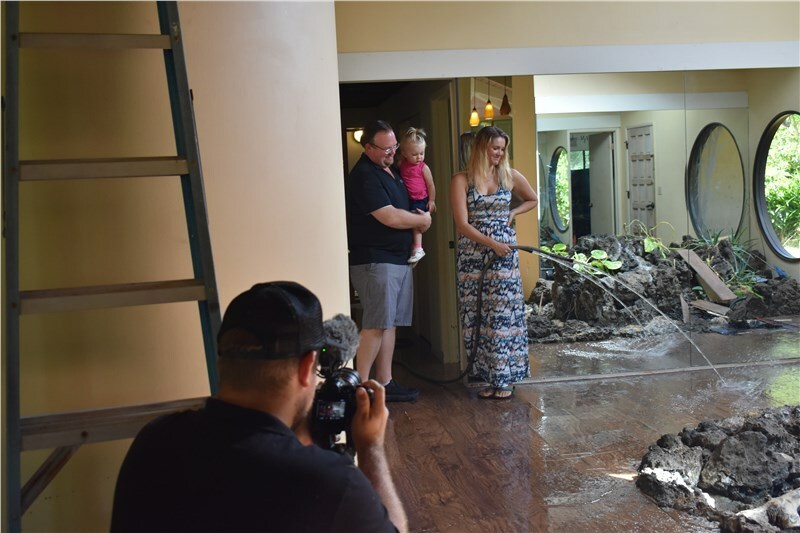 As you may have heard, you cannot get laminate floors wet! Or at least for very long. Unlike hardwood floors, laminate floors have a fiberboard core. 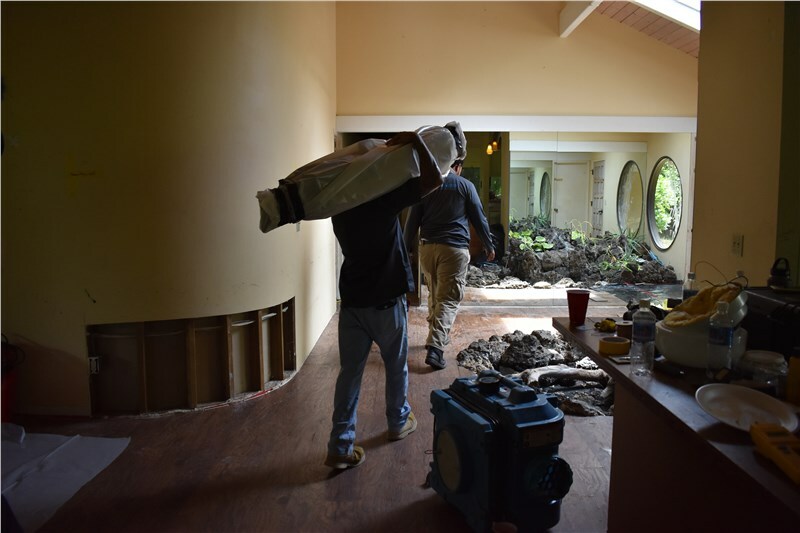 Once the moisture reaches beneath the floor boards, the flooring can begin to buckle or warp and requires full demo and removal. 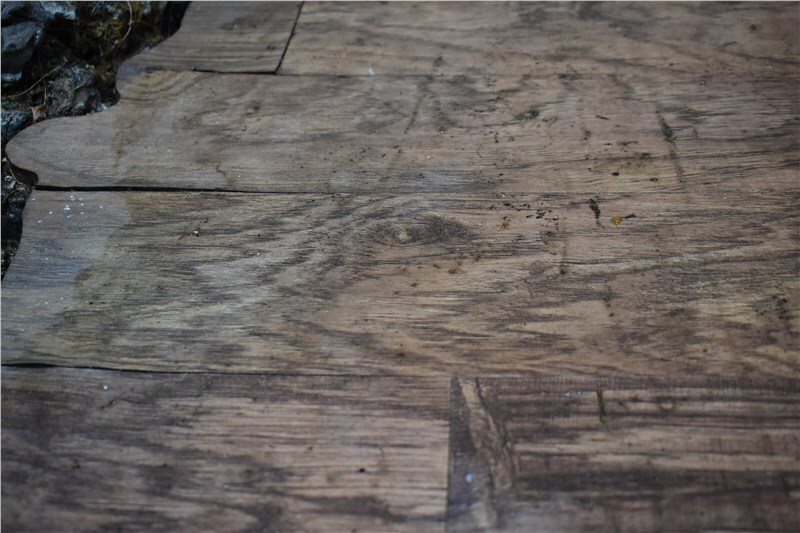 In this case, the floor boards around the entrance to Anthony’s home were removed and discarded entirely. 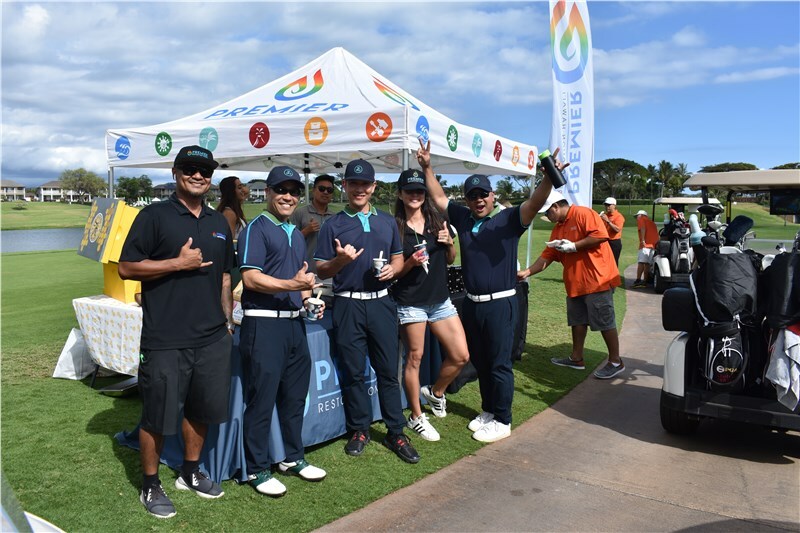 So while that wraps just day one, this will be an ongoing project and process for our team so stay tuned for the finished product!